In 2009 there were only 10 homes that sold in Sabino Mountain versus 2010 with double the number of sales at 20. During this year 12 homes sold for under 400K. This is quite a change over a few years ago when starting prices in Sabino Mountain were around 400K. In 2010, six homes sold homes were priced over 400K – 620K with the highest priced, mid-range home (620K) sold as a short sale—4095 N Black Rock Drive— (listed by Tierra Antiqua),3,500 square foot semi-custom ridge- top Monterey-built home. Two high- end homes sold for 875K and 900K – the 875K – priced home is located at 4141 N Quail Canyon (very recent sale-listed by Long Realty) and the 900K -priced home is located at 4155 N Boulder Canyon (listed by Keller Williams Southern Arizona) (sold in February 2010). 2009 saw two high-end sales at 1 million and $1,250,000 (my sale), with the entry-level sales price of $323,500 for a one-story Monterey-built 2,100 square foot home. During 2009 one mid-level home sold for 675K and it was a Monterey-built, ridge-top semi-custom home with 3,600 square feet. Although 2010 saw some depreciation from 2009, it did not seem like much of a decrease and prices have stabilized. In 2010 more homes sold as more sellers got serious and priced their homes to sell. Incidentially, this Seller tried to sell it a few times previously at higher list prices, but when it was lowered to an aggressive price, it sold fairly quickly. 4141 N Quail Canyon, (sold for 875,000) with almost 3,900 square feet, is the largest home sold in 2010. This gorgeous ridge-top home (listed by Long Realty) is in perfect condition and has drop-dead city views with some Catalina Mountain views. However, it was not the most expensive–there was Feburary sale of a custom home on 4155 Boulder Canyon (listed by Keller Williams Southern Arizona) that sold for $900,000 that is 3,630 square feet. Boulder Canyon is very contemporary and very exquisite, built- with much attention to detail. This home backed to the Sonoran Desert. This year has not been a good year for 1 million + priced homes in Sabino Mountain (since none sold). Last year there were two sales priced at 1 million and $1,250,000 (my sale). Whereas the Catalina Foothills seemed to hold its own with a similiar number of sales at a million and over this year vs last year (approximately 40 sales), Sabino Mountain had no sales reaching this price point.The homes in the Foothills that sold on the very high-end were almost all priced very aggressively, and in order to sell at Sabino Mountain in the very high-end, owners must follow suit. I predict 2011 will see price stablization in the high-end market, but no appreciation yet. The most popular floorplan that sold in 2010 in Sabino Mountain was the two-story Monterey-built floorplan that has a 3 car garage; has almost 3K square feet and has a first floor deluxe master suite. There were 4 sales with prices ranging from $273,000 which was a foreclosure that needed work and had a spool (I have heard it was a former model) to the highest price of $439,000, which was my sale and this house is very upgraded, is in model-perfect condition, and has great views with a custom heated pool. I have noticed that there are a few homes that are listed for sale in Sabino Mountain that would probably sell if they were staged. In the present market place, buyers are seeing many homes that look so picture- perfect, that if they go in a vacant home or one that is decorated rather uniquely to the taste of the Seller, they may pass on a home, that if it were staged beautifully, would catch their eye. Most homes that are staged sell quickly and at a higher price than those homes that are vacant or are not decorated for mass- appeal. My family moved to Tucson from Maryland exactly seven years ago. How we improved our lifes’ by taking the leap of faith! I had lived in Howard County, Maryland for 25 years; had established a thriving real estate business; made many friends, and had owned four homes at different stages of those past years. We decided we were sick of the cold winters and the congestion, so decided to explore a move to Phoenix or Tucson. After looking at both places, we decided that there is a very special beauty of Tucson; we loved that the air was fresher and the congestion was less so than in Phoenix. After renting at The Greens for a month, we came across our piece of heaven on Boulder Canyon. Every day I either walk our neighborhood, or look out my back yard with pristine desert, mountain and city views, and thank God that we made this decision! 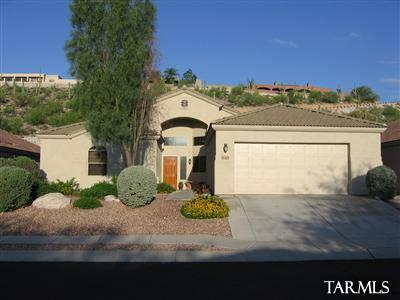 Current Sabino Mountain homes for sale total seven homes. (click on the link to see the listings and photos). However, keep in mind, some have been on the market a long time since they are over-priced. Any home that is in good condition and is competitively priced, sells fairly quickly. Call me if you are interested in exploring any of these for sale homes, or if you would like a competitive market analysis of your residence. Reach me at 615-2598. Click on the link ~ 20 homes sold ~to see the list of Sabino Mountain homes that sold this year. It lists 19 homes; there is a 20th home that was a private sale on 4298 N Ocotillo Canyon that sold for $362,500 (2,500 square feet, 3 car garage), that was not multiple- listed. This is quite a year with high sales volume for Sabino Mountain. I have lived here for seven and a half years, and have never seen a year with so many sales! Inventory is low again and the snow birds are here, so it is a good time to sell. Give me a call at 615-2598, should you want to consider selling now. 4141 N Quail Canyon , a 3,900 square foot, 2004- built custom home sold today for $875,000, after being on the market for less than 80 days. Originally list- priced at almost a million, it reduced to 949K and then went quickly under contract. The home was exquisitely decorated and offered many sought-after upgrades; the views are mostly of the sparkling city lights. This is the second highest 2010 priced home in Sabino Mountain; the highest sold for 900K and is located on Boulder Canyon Drive. 4109 N Ocotillo Canyon sold for $439,000. This semi-custom, Pepper-Viner one-story home, is sited on a quarter acre and is very upgraded. You are currently browsing the Sabino Mountain Blog blog archives for December, 2010.